One of the major endgames is the production of a protein in its native conformation, and therefore correctly folded. It goes without saying, that good knowledge of the protein of interest is a major asset. Performing a feasibility study with bio-informatics eases the designing of the ideal process. This study includes the determination of the number of disulfide bridges, the identification of glycosylation sites, the obtaining of solubility and stability probabilities, the analysis of predictive secondary and tertiary structures… In short, it provides valuable information to successfully carry out the steps related to protein purification. The use of human cells (eg. HEK293 EBNA cells) to produce functional rec. proteins closest to in vivo context thanks to post-translational modifications (like glycosylation) and the presence of adequate chaperone proteins. In case of non-tagged or barely purifiable proteins, the conception of innovative protein purification strategies is essential. Indeed, the optimization of this step, in terms of cost and time while minimizing the number of steps, but also in terms of efficacy, is indispensable. Thus, the use of resins such as “mixed mode” resins or resins on which the targets of the protein of interest (incl. monoclonal antibodies (Mabs)) are effectively coupled is preferable. This avoids the multiplication of purification steps, the loss of purified material by precipitation, as well as the time allocated to experiments. Certainly, this requires developments that can easily be put into place if a well thought “DoE” or design of experiments is elaborated beforehand. 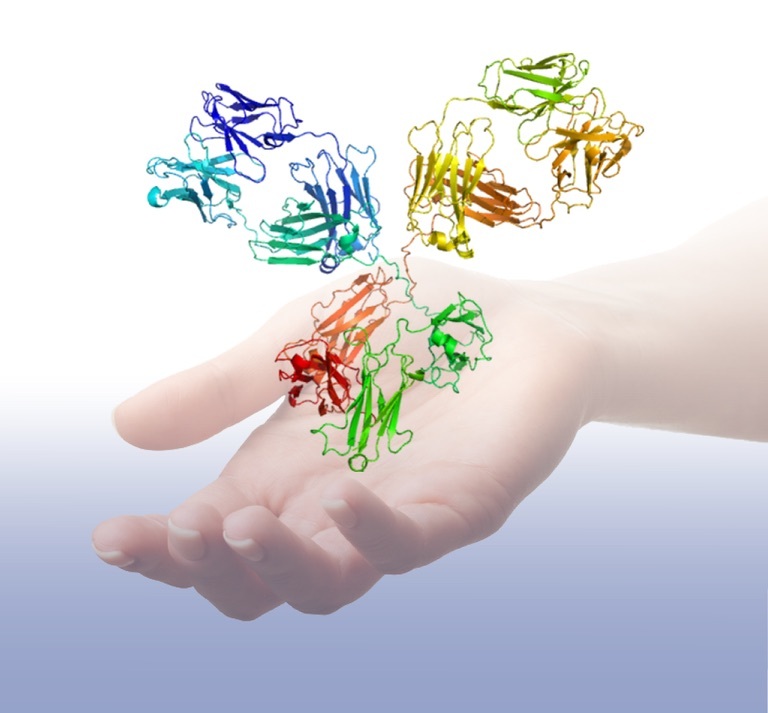 Even after the collection of the protein of desired purity, it’s not the end of the story – quality control, such as a western blot with validated primary antibodies, an activity test, the characterization of protein-protein interactions (ELISA, Isothermal Titration Calorimetry (ITC), Cell-Based Assays such as BPS Bioscience’s PD-1 Immune Checkpoint Cell line to investigate PD1 pathway or screen PD1 inhibitors…), and/or rate measurement of endotoxins, cannot be neglected. Why will mixed mode resins revolutionize R&D scales mAb production? tebu-bio supplies tools and expertise capable of providing the keys to success of rec. protein expression and protein purification projects by offering services from molecular biology to cellular biology and protein biochemistry. Don’t hesitate to contact me with your questions and comments through the form below to further discuss your rec. protein project.